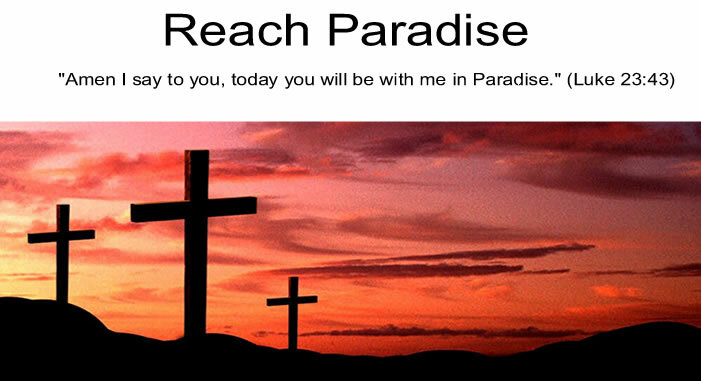 Reach Paradise: From Russia, with God? Let me first start by saying this is not a political post. Nor is it about the tragedy in Syria, and what the right or wrong thing to do there is. But much like my last post, it is about religion in the public arena and how strange, yet refreshing, it is. Even when it comes from somewhere unexpected - like Russia's Vladimir Putin. 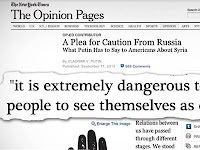 For those of you that missed it, Putin wrote an Op-ed piece to all Americans in the NY Times this week. Again, I am not going to focus on whether he is right or wrong on Syria, if he is a good person or leader - or any other related topic for that matter. What I am going to focus on is the way he ended his letter. "We are all different, but when we ask for the Lord's blessings, we must not forget that God created equal." How refreshing is THAT to see a world leader (other than the great Pope Francis, of course) use this kind of language? Just like last week's comic about Grace, this really stood out to me because of how rare it has become. Equally important, however, is that that statement is true and the world needs to hear it! Forget that it was used in context of the civil war in Syria, or that is was used to counter (perhaps out of context) Obama's statement about Americans being exceptional. We all need to be reminded of our equality, humbleness, and humility - every day. God Bless. And please pray for Peace. The thing is, whatever is happening at the moment in the world, God is still in control and He will respond to our prayers for peace. I felt the same way when I read Putin's statement. Just the fact he would even say it in an American newspaper - and mention God - really struck me. You have made a good point Michael, you always nail it. I was surprised too when I read it, Michael!